Grandmothers continuously lend their guidance, words of encouragement, contributions, and their nurturing nature. It’s our turn to thank them on Grandparents Day (September 10th) for shaping us to be the person that we are today. This is a sponsored post on the behalf of Precious Moments. Thoughts and opinions are my own. Grandmothers continuously lend their guidance, words of encouragement, contributions, and their nurturing nature. It’s our turn to thank them on Grandparents Day (September 10th) for shaping us to be the person that we are today. To me, my mom is a role model to her children and grandchildren. She has taught us all valuable lessons that will carry us through life. One of the most important lessons that she has taught us in life is never giving up no matter what obstacles are hurdled our way. She taught me this early on in life by leading by example. Taking the valuable lessons of strength, determination, and faith to heart along with a positive outlook has helped me endure and overcome various obstacles at different stages of my life. She is also one of the most selfless people I’ve ever met. She will practically go to the ends of the earth for her children and grandchildren. She’s truly a free-hearted, funny, and incredible person who will always listen to and support us. My mom has always been there for us, no matter what! This Grandparents Day, my children are showing her a small token of their appreciation for her by bestowing her with a Precious Moments figurine. 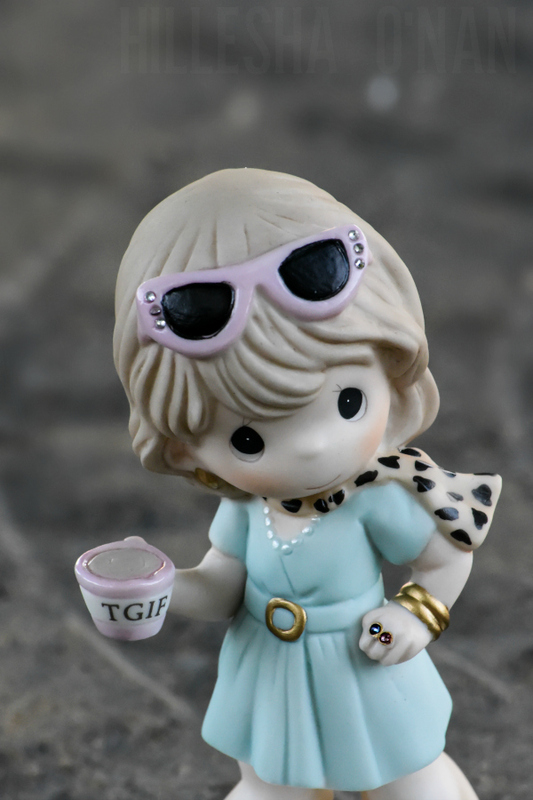 We can’t think of a better figurine than the This Grandma is Fabulous figurine! She is truly fabulous and in many ways, from her words of encouragement and contributions to her nurturing nature and impeccable sense of style. Donning stylish shades and a fashionable outfit, the This Grandma is Fabulous figurine has got it together as she heads out to visit a precious grandchild. She is the embodiment of the women who have found themselves older, wiser, and more confident!